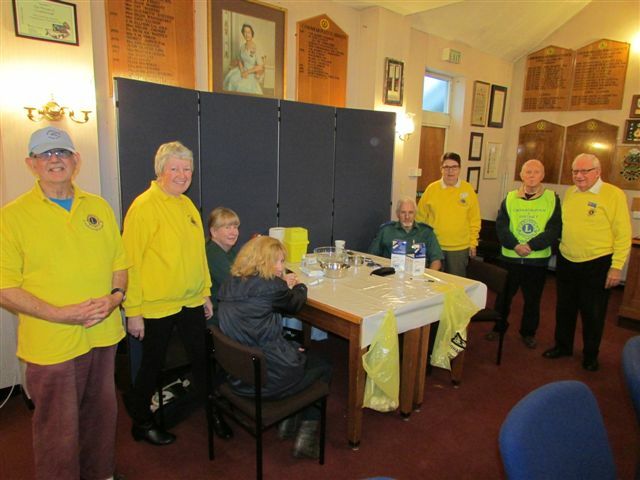 “It’s a new year and fresh challenges lie ahead for the members of Crowborough & District Lions Club. Formed in 1974 by twenty or so Crowborough residents driven by a desire to put something back into the community and have fun in the process, the Club is looking forward to implementing its fundraising and community service programmes for the year ahead. From Ticehurst / Flimwell / Stonegate in the East, to Hartfield in the West, the Club raise funds locally ensuring that every penny raised is spent and donated within the community for the benefit of all. Many of the Club’s fundraising activities will be familiar such as the Saturday bookstall in the town centre, the Easter Egg Raffle and the Darts Marathon which reach out right across the district, the ‘Big Quiz’ Night, its stalls at numerous fairs and fetes throughout the area, and not forgetting our Christmas Carol float. The Club’s community service programme includes supporting the needs and aspirations of young people, assisting disadvantaged members of the community, and ensuring the inclusiveness of senior citizens through its annual tea party and Christmas luncheon. Most recently the Club hosted a free Diabetic Screening Session in its commitment to provide valued and worthwhile services to everyone. The Club is always seeking new members as they are the reason for its longevity and vitality. It meets on the second Tuesday of each month at 8pm in the clubhouse of Crowborough Athletic Football Club, Alderbrook Close, Crowborough TN6 3DJ. Do come along and meet us, you will be warmly welcomed. 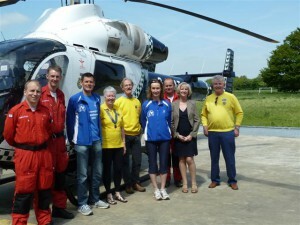 Cheque presentation to members of the Air Ambulance following fundraising towards the running cost of this valuable service. Diabetic Screen Session in November 2014 at Crowborough Town Hall. 82 members of the community took advantage of this free session and the club intend to run this again this year.